Sweet Briar College is a small, private women’s college in the American state of Virginia. In 2015, the school’s governing board grew concerned about its financial future and considered closing the school. But after a change in leadership and the hard work of its employees and former students, Sweet Briar stayed open. Now, almost three years later, Sweet Briar College is “doing remarkably well,” says Teresa Tomlinson. She is the head of the school’s board of directors. She says the schools has been able to buy back $8 million of its debt and reduce its operating costs by almost $15 million. Tomlinson told VOA that the school was able to help its financial situation by making changes to its study program. Sweet Briar now aims to better meet the needs of the next generation of students by tying their studies to the demands of the modern working world. 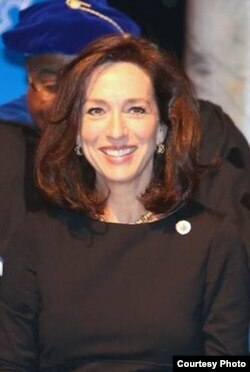 Teresa Tomlinson, head of the board of directors for Sweet Briar College in Virginia. However, not all small, private colleges like Sweet Briar have been able to keep up with the changing demands. In recent months, some have said they can no longer operate. For example, St. Gregory’s University in Oklahoma, Memphis College of Art and Grace University in Omaha, Nebraska have all announced they will be closing. These announcements made observers question what the future may be for American higher education. The research company Gallup asked chief business officers at more than 400 American schools whether they agree with media reports that tell of a financial crisis in higher education. About 70 percent of them said they believe those reports are correct. Gallup released the public opinion study last August. 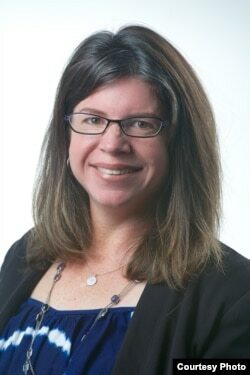 Valerie Calderon is a senior researcher with Gallup. She says such concerns may come from the fact many Americans feel they have less money to spend on higher education. The cost of higher education in the country has increased greatly over the past 30 years. Also, the U.S. economy, Calderon says, has been growing at a slower rate. This has made some American families think twice about investing a lot of money in a costly degree program, she says. Fewer students are enrolling in higher education programs, the National Student Clearinghouse found. The organization studies American education. Last year, it reported that the overall number of students in higher education programs was 1.5 percent less than the year before. Valerie Calderon, Senior Research Consultant with Gallup. So, why have the costs of higher education gone up so much? Calderon says part of the reason is because schools are employing more administrators. “Colleges have employed more highly paid professionals who don’t teach, driving up the ratio of workers per student,” she told VOA. Ken Redd is a senior researcher with the National Association of College and University Business Officers. He says that schools have, in fact, employed more people whose jobs do not directly relate to teaching. But that is because of the changing nature of who the schools’ students are, he says. Many colleges and universities have been doing more in recent years to help poor students get an education, for example. Redd says these students may need more support in their studies, because they often went to high schools that did not prepare them well for college. Redd also says many schools are doing more to support students who face other difficulties, such as physical and mental health issues. This means schools must hire support staff. All these efforts cost the schools money, which means their tuition costs may rise. In addition, the U.S. government has created more rules that colleges and universities must follow. For example, in 2015 the Department of Education began holding schools responsible for creating an office to receive and investigate complaints of sexual harassment and discrimination. This came as part of a greater effort to enforce the law known as Title IX. Such efforts add extra costs, Redd says. Redd adds that many schools have tried hard to combat the rising costs for students. Financial aid awards have increased overall. Some schools also employ special reductions and limits to tuition increases. 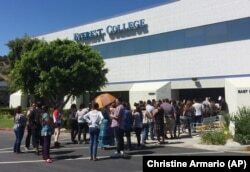 FILE - Students wait outside Everest College in Industry, California after it shut down all of its remaining 28 ground campuses in April 2015. The shutdown came after the U.S. Department of Education announced it was fining the for-profit institution. But Redd does have concerns. He says that a decreasing number of students and limited financial resources could put small, private schools at risk of closing, especially rural ones. He fears the effect this may have on students growing up in rural areas. In other words, the students may choose to not pursue higher education at all. 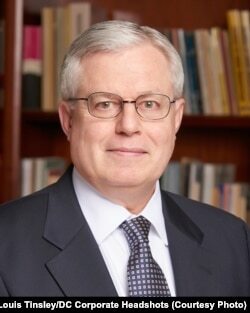 But Richard Ekman of the Council of Independent Colleges, or CIC, remains unconcerned. His organization represents more than 650 private colleges and universities across the U.S. He says recent media reports of a higher education crisis are untrue. He adds that, historically, few colleges have closed permanently. Schools that come close to closing are often bought by or combined with other similar or larger schools. During the 2011-2012 school year, for example, just 10 colleges and universities across the country closed, according to the Department of Education’s National Center for Education Statistics. At that time, the United States was facing a severe economic recession. Ekman says that for schools to survive, they need to try to appeal to students in different ways. For example, Hartwick College in Oneonta, New York, took note of the local area’s growing industry for small, independent breweries. So it designed a program to train students in brewing. And Adrian College in Michigan observed a lack of schools with competitive college fishing teams. So the school started one, drawing in students who were looking to join the nationally recognized sport. We want to hear from you. How strong financially are colleges and universities in your country? Write to us in the Comments Section or on our Facebook page.